Our bottom fermented Czech beers are traditonal lagers called, according to the table in the following link, Bohemian Pilsners. This beer is produced in a three-phase process, which in layman’s terms involves brewing from only 4 ingredients: water, hops, malt barley and yeast. In the first phase we mill the malted barley, mash, lauter and boil it and then add Žatec hops in various amount at various temperatures – the resultant liquid (or wort) is then cooled down. In the second phase, the mixture is pumped into the fermenting tanks, where cultured yeast is added. This is the basic bottom fermentation process, which takes 10 or more days (this is where the Czech term “ten-grade” comes from). Thus, at this stage a “ten-grade” beer ferments about 10 days and a 12-grade ferments about 12 days (assuming the correct temperature). These percentage grades are referred to as “Plato” and do not denote ABV or alcohol-by-volume. The third phase is the maturation of beer in the lager cellars. This process can take from 25 to 90 days, though usually lagers rest for around 30-45 days. Again, this assumes the right temperature and pressure. 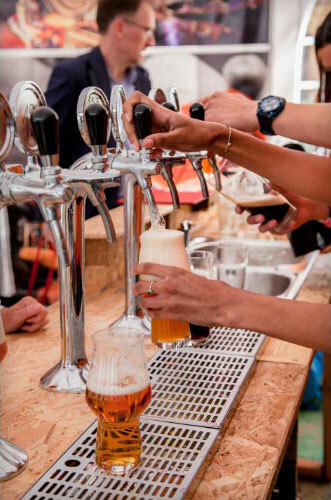 From the lager cellars we end up with the best product – a cloudy, unfiltered and unpasteurized beer. Then depending on the beer style, it might be filtered and is then transferred to the to kegs (and afterwards hand-bottled). Large corporations often produce a 14-grade beer and then dilute it to reduce it to a 10-grade, 11-grade, or 12-grade. The second and third phases are carried out in a single vessel (so-called CK tanks), which raises the temperature and pressure to speed up production. They can shorten the entire process to 7 days. And that is how commercial beer (or “Europivo”) is created. This is what we often see as being the cheapest beer in the supermarket, sometimes for 5 or 6 crowns. The price is low, but so is the quality. Until we start brewing in our own location, we are brewing our beer from our own recipe in the Chotěboř brewery with the masterbrewer Oldrich Zaruba. Currently we are brewing 10° and 12° filtered and unfiltered Zemsky lagers as well as an 11° semidark Zemsky lager. Zemské beer is made the traditional way: The main fermentation takes place in open vats in the fermentation room and matures in lagering tanks. Zemské beer is produced in the traditional way to ten degrees and twelve degrees. Zemské beer is full-flavored. It is “bready”, meaning that it is a beer with a higher bitterness coordinated with characteristic vigor. Zemské beer is harmonized in excellent taste with a very good foamy head, which is an essential part of Czech beer. (Often large corporations artificially create the foaming of their beers. Ours is proper, caused by the beer maturing at just the right time. No chemical modifications are necessary for Zemsky beer!). When Czech beer ages properly, chemical treatment is unnecessary. We used only Czech hops and Czech and Moravian malt. Sometimes we use several types of malt depending on the particular beer. 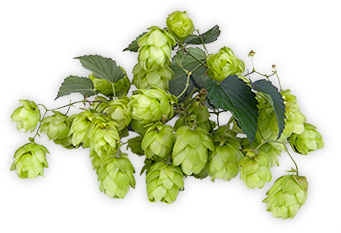 We do not water down our beer, we do not use chemically treated hops for a thicker head. We also do not speed up the brewing process using higher temperatures or greater pressure. Our 12-Grade beer is a true “12”. Our 10-Grade beer is a true “10” and very full-bodied. Zemske 10 has a Plato of 10.4 (as a true ten-grade should), and an alcohol of 3.9%. Zemske 12 has a Plato of 12.3 (again, as a real twelve-grade should), and alcohol of 4.7%. It has alpha bitter bitterness in units of 35-36 mg / L, which is more bitterness than usual in Czech beers and indicates not only more “hopping”, but also a higher quality Czech hops. Our ‘Ten’ (or Desítka) is our lighter in body lager. Its wonderfully full and distinctive taste, balance and higher hopping results in it often being confused with other, stronger styles of lagers. Yet the beer remains very drinkable and refreshing with its lighter alcohol level. The unpasteurized ‘Ten’ is available filtered and unfiltered. The unfiltered version is moreover enriched with brewer’s yeast, which remains part of the beer, delivering lots of vitamin B and tasty character. Our ‘Polotmavý’ (or Semi-dark) is our unfiltered and unpasteurized darker lager. Brewed in the traditional three phase process it has a full, pure malt caramel flavor delivered from roasted malt barley, balanced with a pronounced hop bitterness and lingering aroma of dark chocolate and, again, that lovely caramel. Its darker color has a distinctive sparkling garnet tinge with a rich head. A great accompaniment to darker meats. Our ‘Twelve’ (Dvanáctka or Ležák) is significantly fuller than almost all other lagers and is distinctive for its bigger body. Its unique taste is ensured by it being kegged with residual extract and resting in cellars. Unpasteurized and unfiltered and brewed with premium ingredients, the result is a notable fullness yet drinkability that marries well with a bitterness of up to 36 EBU. Honey-colored with a sparkle, big body, rich and long lasting head are a result of original recipes from the early 1900s.